Davis Hall was constructed in 1907 as one of the three original buildings for the institution that later became South Georgia College. It originally served as a girls’ dormitory, but after a major renovation in the 1970s, was converted to a classroom and office building. 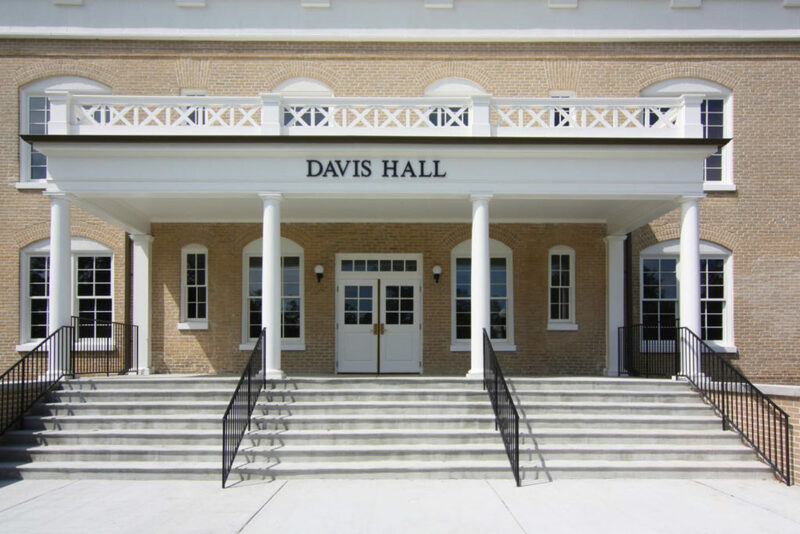 An extensive renovation was undertaken to rehabilitate Davis Hall as an efficient and functional facility for the college while restoring as many historic features as possible. While many changes had been made, historic photographs were used to determine original finishes. Now Davis Hall has set an example as the first of three original buildings on the campus to undergo a transformative and successful rehabilitation.